In the summer of 2016, a short video of a little dog found its way into Afghanistan’s social media space, gaining thousands of views in a matter of hours. In it, a frayed-looking stray puppy could be seen rubbing his head against the walls of a bridge in apparent discomfort — the discomfort of an addict. Afghanistan is a nation plagued with the largest opium cultivation in the world; 93 percent of the world’s opium is grown there. Colonies of homeless addicts can be found crouching on the sides of Kabul’s streets and under the dark, garbage-strewn alleys of its bridges. 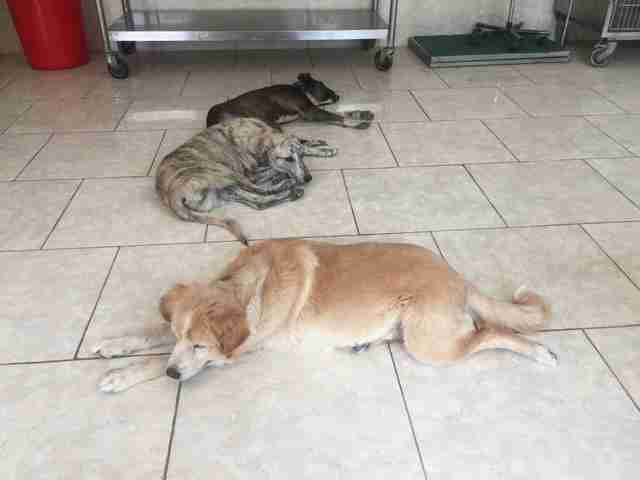 Homeless dogs are a mainstay in the area as well. It was within this community that a young dog named Nesha, which means “intoxication” in Dari, one of Afghanistan’s national languages, found a home of sorts. 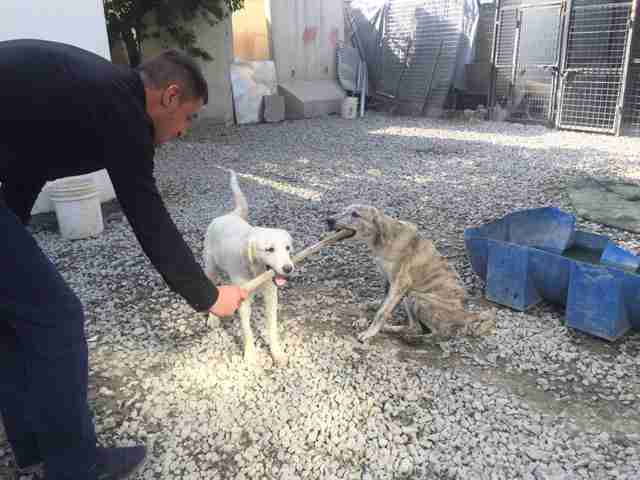 She was taken in by an addict who lived under the Pul-e-Sokhta bridge, known to house several of Kabul’s addicts, and had passed on his addiction to the dog who had little understanding of what she was going through. A video made by some neighborhood kids showed Nesha in an intoxicated state, being force-fed drugs. In a matter of days, the video (which is no longer available) became the subject of online discussions in the area, drawing the attention of a local news network that broadcasted the video during a segment on its channel. For the team at Nowzad, which has rescued thousands of dogs and cats since the group’s inception in 2008, Nesha’s case was unique. “[Nesha’s] was the first case [of a dog addicted to opioids] we came across, but since Nesha we have heard of other dogs in the same area whose owners have made them reliant on heroin,” Surowinski said. 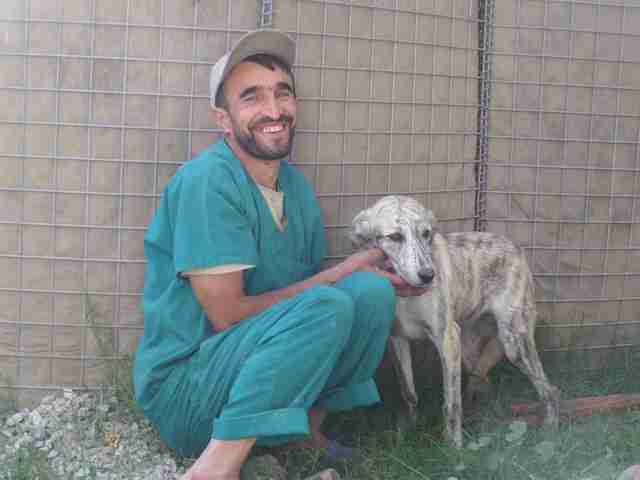 Mujtaba Rezaie, along with his team of young animal doctors fresh out of Kabul University, rescued Nesha from under the bridge. “The owner did not want to give us Nesha at first, claiming she would get sick if she didn’t get her three dose of drugs each day,” Rezaie told The Dodo. 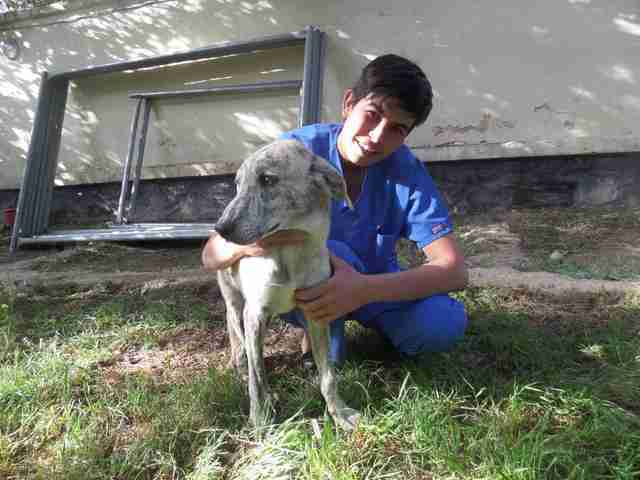 Not deterred by the rejection and threats, Rezaie and his team hatched a plan to rescue the dog. 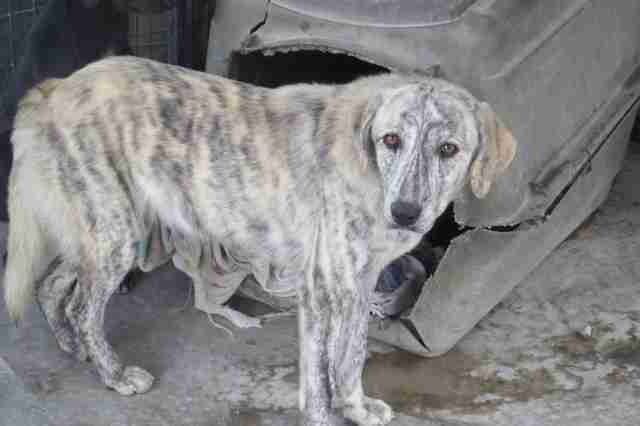 “The next day we waited close by and watched for the owner to leave on his daily routine, and took Nesha when the owner wasn’t there,” he recalled. First, the Nowzad team gave Nesha a nice bath, which instantly made her more happy. “We put Nesha on a rehabilitation program and provided her with … a strong pain reliever, three times a day,” Rezaie said. 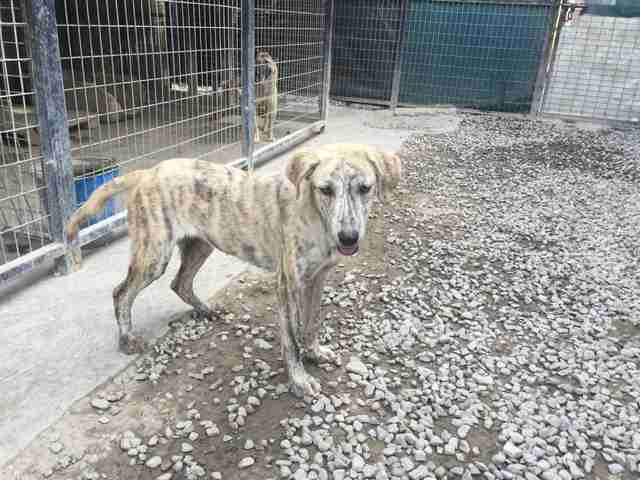 Nesha also had several untreated wounds that had become infected. 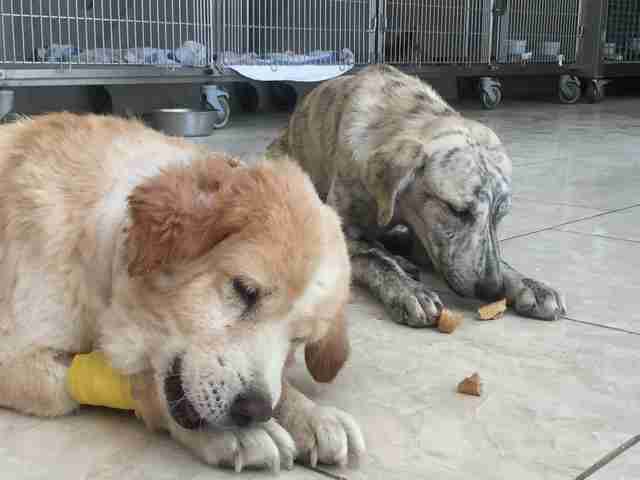 Additionally, her hind legs were extremely weak from muscle wastage and she was unable to walk. 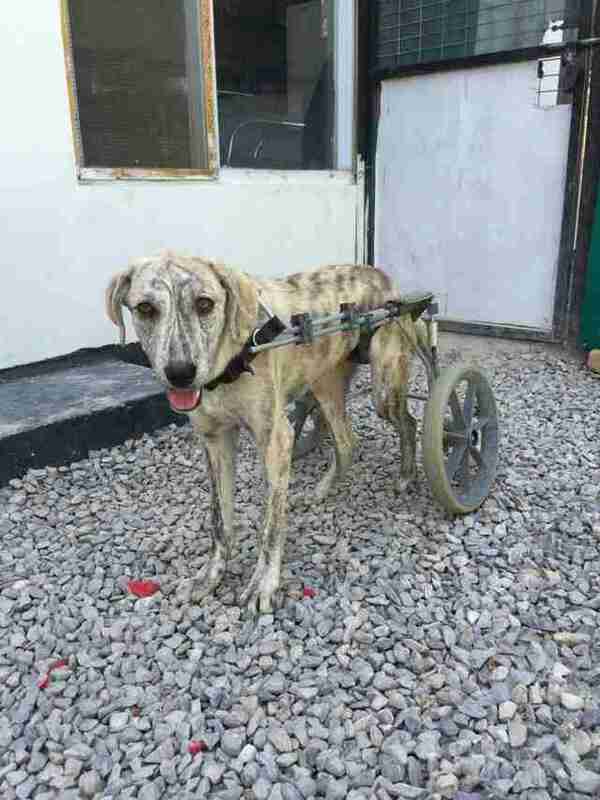 “We treated her wounds with antibiotics and gave her bone supplements to help strengthen her legs,” he explained, adding that the team had little hope that Nesha would regain full use of her legs to walk on her own again. However, being the fighter that she is, Nesha not only kicked her addiction, but after months of daily wheelchair exercise, she was slowly able to recover her ability to walk again. “It was something we thought might not be possible, and were excited when it happened,” Rezaie added. Months later, Nesha is still on an arduous road to recovery. “Although she is unable to walk ‘normally’, she is extremely mobile and manages to keep up with her buddies very well!” Surowinski said. 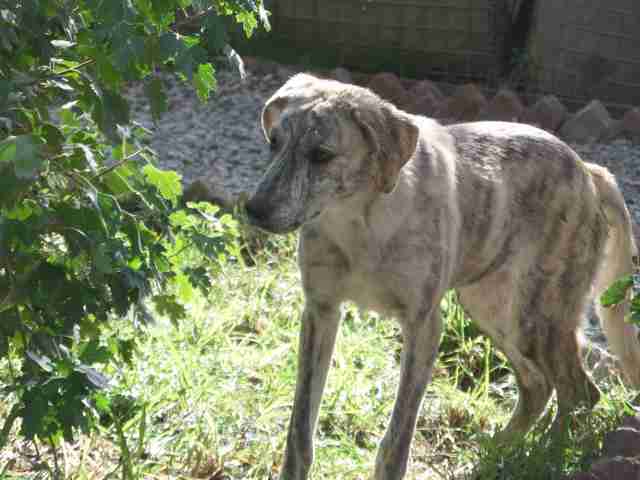 “We are currently looking for a loving, forever home for Nesha, either in the UK or U.S., where her needs will be met and she will receive the love and attention she deserves,” Surowinski added. 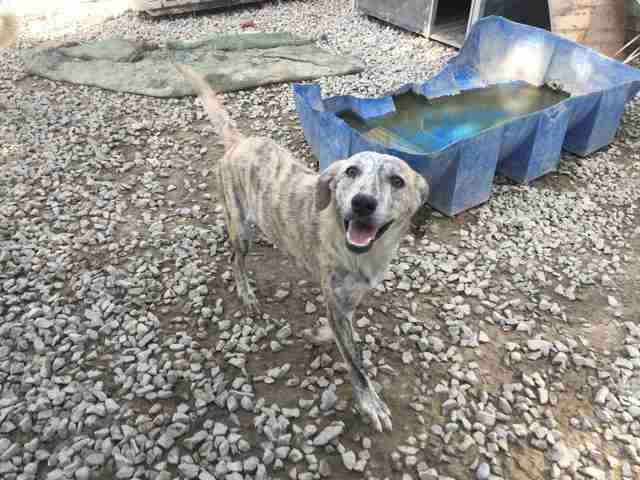 While she waits for her adoption, Nesha, an extremely affectionate animal, loves to play with the other rescue dogs at Nowzad. “She absolutely loves people and relishes meeting anyone new and getting lots of cuddles and treats. 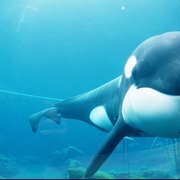 She also really loves to play in the water,” Rezaie said. 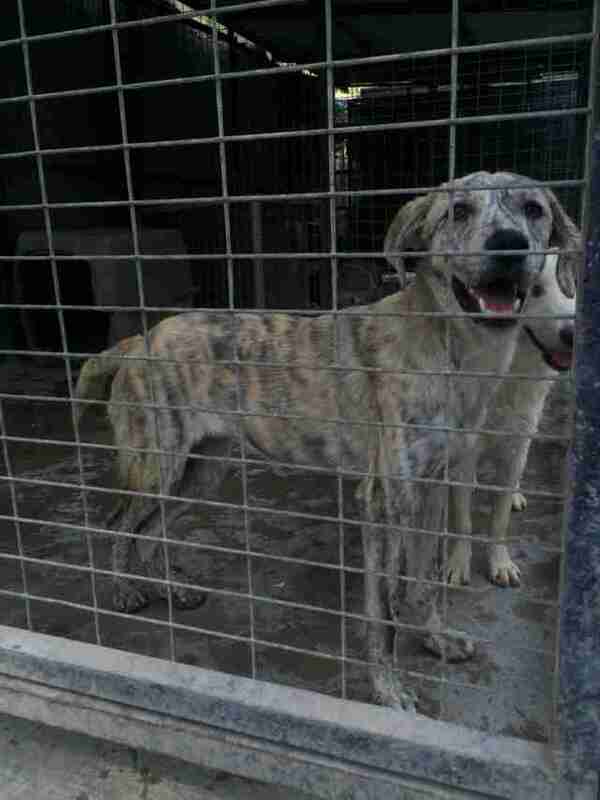 To donate to Nesha’s care, please visit Nowzad’s Facebook page.